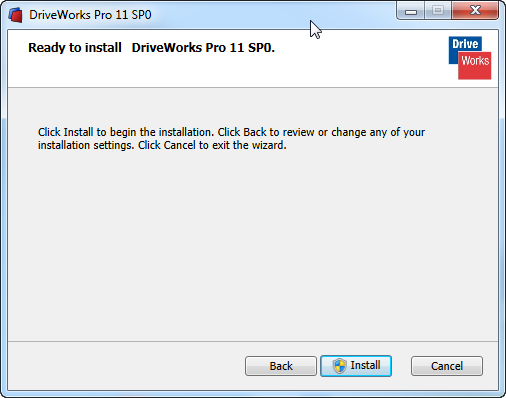 A single installation file is now shipped or made available for download. 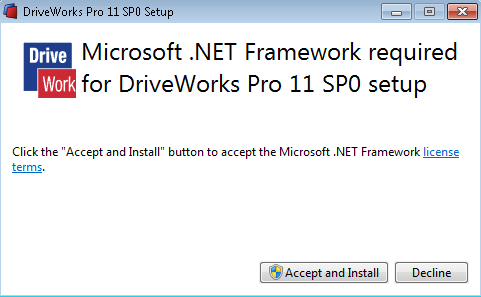 The installation file also includes all necessary pre-requisites. 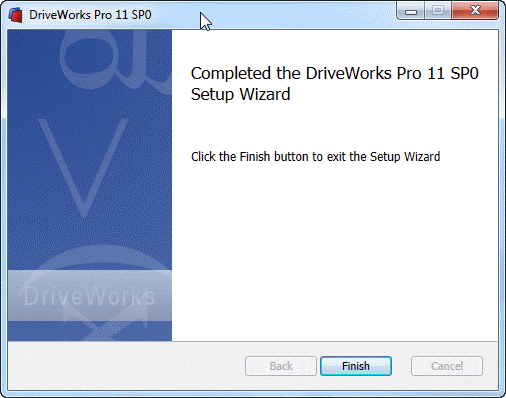 Once downloaded, double click the installation file on the machine the DriveWorks product is to be installed on. 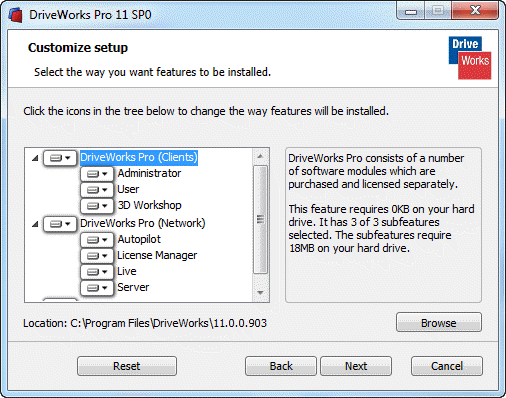 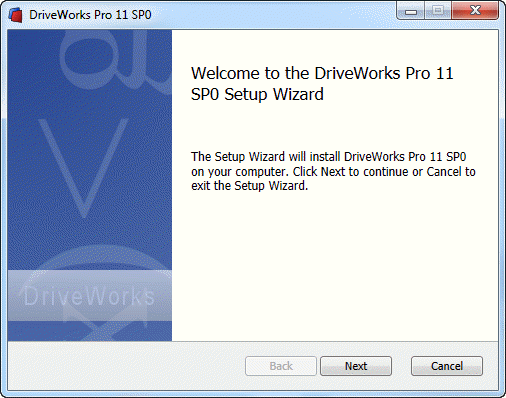 Once the Welcome to the DriveWorks Pro 11 Setup Wizard appears click Next to begin the setup. 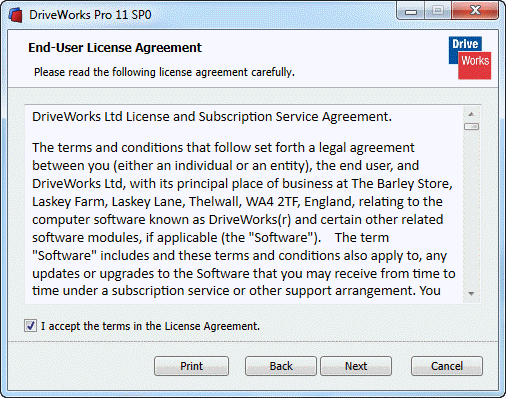 Click I accept the terms in the License Agreement, and click Next to continue. 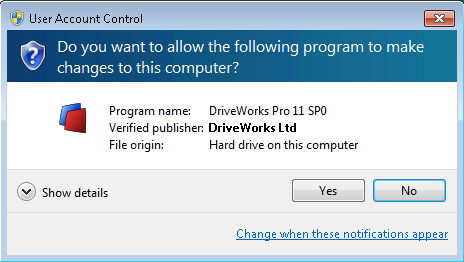 If you see the User Account Control message click Yes to allow the installation to make changes to your computer.